Supraventricular and ventricular arrhythmias are common among patients with chronic obstructive pulmonary disease (COPD). Multiple factors can contribute to the development of arrhythmias in patients with exacerbation of the disease, including: respiratory or heart failure, hypertension, coronary disease and also medications. In the present study we seek to determine the prevalence of cardiac arrhythmias and risk factors among patients with exacerbation of COPD. The study was a retrospective evaluation of 2753 24-h Holter recordings of patients hospitalized in 2004–2016. 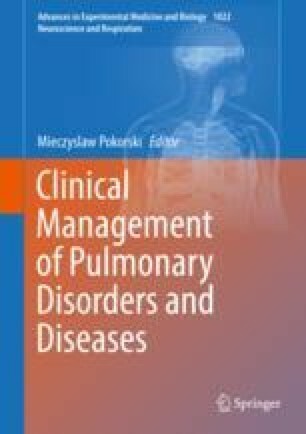 Exacerbation of COPD was diagnosed in 152 patients and the prevalence of arrhythmias in this group of patients was 97%. The commonest arrhythmia was ventricular premature beats (VPB) – 88.8%, followed by supraventricular premature beats (SPB) – 56.5%. Permanent atrial fibrillation accounted for 30.3% and paroxysmal atrial fibrillation (PAF) for 12.5%. Supraventricular tachycardia (SVT) was noted in 34.2% patients and ventricular tachycardia in 25.6%. Respiratory failure increased the risk of SPB, while heart failure increased the risk of VPB. Treatment with theophylline was associated with a higher proportion of PAF and SVT. In conclusion, COPD exacerbation is associated with a high prevalence of cardiac arrhythmias. COPD treatment and comorbidities increase the risk of arrhythmias. The authors declare no conflict of interest in relation to this article.